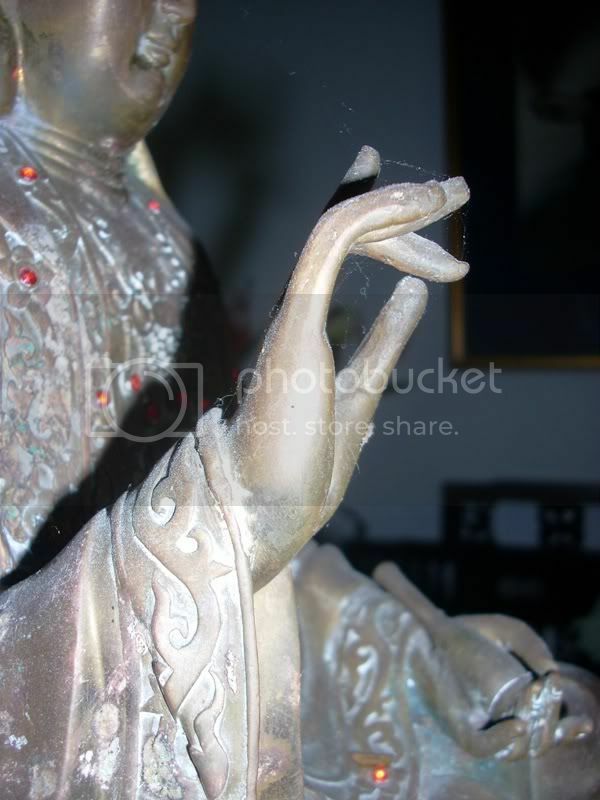 I am now working on a new collection - Brian's Kwan Yin. Last November 2009, I joined the Penang Heritage Trust on a site visit in inner George Town city. We visited Brian's house who has restored a dilapidated house and filled it up with his antique Chinese/Strait Chinese collection. His Kwan Yin at the door front caught my attention. 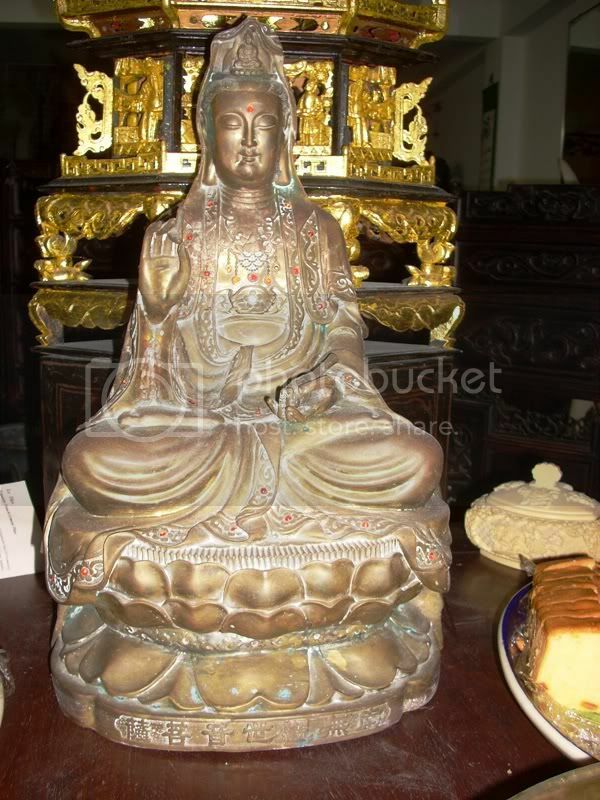 This is the most beautiful Kwan Yin brass statue I have ever come across. 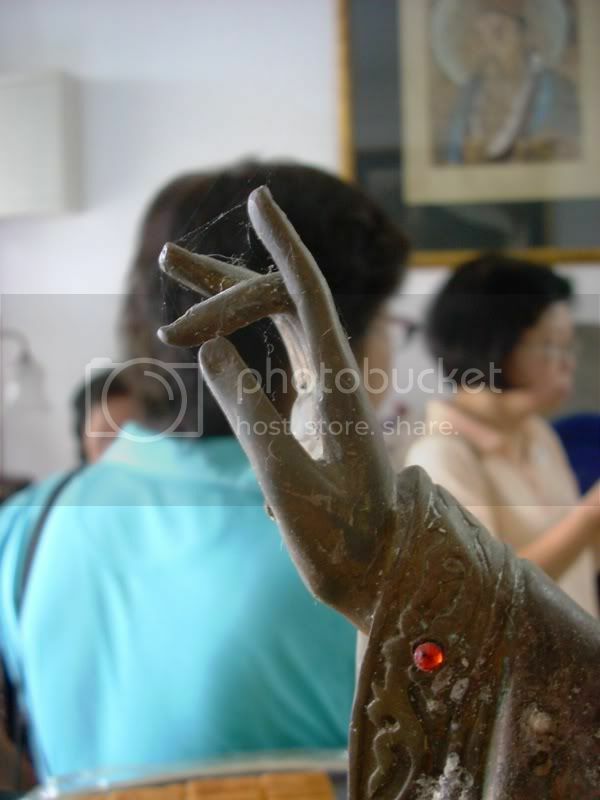 Wish I could afford to own a similar statue but then let "fell and touch" its hand with my new collection. I have spotted a nice angle to bring up its hand on the stone.